Exclusive Interview: "Franchising success: New skills, expansion, and giving back to my community"
Looking to start your own business and love the outdoors? 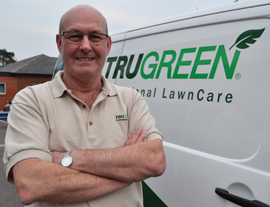 Whether you have no previous experience in the lawncare industry or have worked as a Groundsman before, TruGreen is the perfect franchise opportunity for those who have the ambition and enthusiasm to launch, build and manage their own thriving business. Some of our best performing franchises show us that you don’t have to have previous lawn care experience to be successful. We have, however, listed a handful of qualities we feel are important when it comes to running a TruGreen franchise. 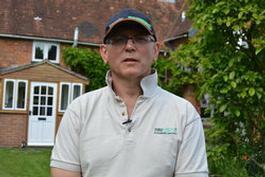 TruGreen are currently looking for individuals to become part of the family. If you have a passion for the outdoors and the enthusiasm for business, we would like to hear from you! If this sounds like you, why not immediately download our FREE and non-obligatory franchise prospectus here. 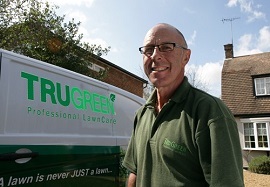 With nearly 90% of the UK’s 27 million homes boasting gardens, the potential for TruGreen franchisees in the residential lawncare sector is immense; success can also expand further into the commercial market. Franchise owners capitalise on this lucrative and growing marketing thanks to our long-standing experience and expertise within the field. 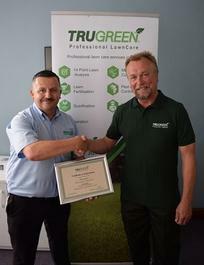 Additionally, TruGreen franchisees offer bespoke lawn care treatments and additional services throughout the year to both residential and commercial clients. If a TruGreen franchisee services just 4% of the homes within their bespoke territory, they would have a profitable business. The minimum personal investment for this franchise opportunity is £8,400 + VAT which is 30% of the total franchise fee. Up to 70% of the total franchise fee canbe financed through most major banks and franchise finance providers, subject to status. This includes the Franchise License which allows franchisees to trade under the TruGreen brand name and covers initial training and certifications by the National Proficiency Council, NPCT, the marketing of your launch,the purchasing of tools, supplies, equipment, products, stationery, bespoke software, vehicle branding and allmarketing material you will need to get going. All you will need is a computer and van of your own. At TruGreen we want our franchisees to succeed and, as such, we offer them the best training and on-going support possible from our unique support team. 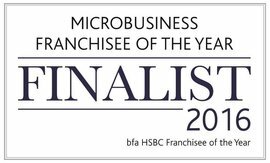 Additionally, you have access to all other franchise owners in your network who can guide and support you along your franchise journey. Like most families, we believe in supporting each other and encouraging each other through the thick and thin. Our training programme doesn’t end there as additional training, support and business advice is available whenever required. With regular seminars, refresher courses, as well as one to one training during site visits, you will never be on your own. TruGreen franchise owners benefit from routine visits, phone advice and technical updates are readily available from your TruGreen Network Manager who has 30 years’ experience in the turf industry. Like any relationship, it is important that we are a good match. We are looking for individuals who love the outdoors or have an interest in horticulture. Those who are looking for a new career and are interested in escaping the rat race would benefit from the TruGreen business model. Attending one of our Open Days allows you to learn more in a relaxed setting. As no previous experience is needed, thanks to the in-depth training and support on offer, you can apply for information no matter what background you have. Our experience and expertise will sow the seeds to your future success. By filling in the form below you will be able to download a copy of the TruGreen prospectus.